Waratah apartment was a delight, so clean and fresh, with a well-equipped kitchen and comfy beds. The pool was lovely and quiet with enough shade to sit around at any time of day. Highly recommended for a relaxing break! Great location, within walking distance to Hasting Street and other restaurants. Ideal accommodation for our family. Clean rooms, beds were comfortable and the kitchen amenities were great. The location was great. A short 10 minute walk to Noosa Heads town centre. The property was clean and spacious. Beautiful decor. We loved the pool and the convenient location. Colin was charming, professional and helpful. He was able to help us with all our enquiries and ran the place perfectly. We could not fault our host. We feel so lucky to have found this gem! Lynne is the most warming, helpful and friendly host - we left feeling like we'd met a new 'Aunty' for our two girls! We were lucky to have the pool to ourselves each day, and at night the area was nice and quiet letting our young family rest for the next day. Only a 10 min walk to Hastings St, everything you need for an amazing Noosa family trip starts at Cloud 9! Our apartment was very spacious and spotlessly clean. It was well equipped and tastefully refurbished. Great location - an easy flat walk down to Hastings street. Lock in a great price for Cloud Nine Luxury Apartments – rated 9.2 by recent guests! Cloud Nine Luxury Apartments This rating is a reflection of how the property compares to the industry standard when it comes to price, facilities and services available. It's based on a self-evaluation by the property. Use this rating to help choose your stay! 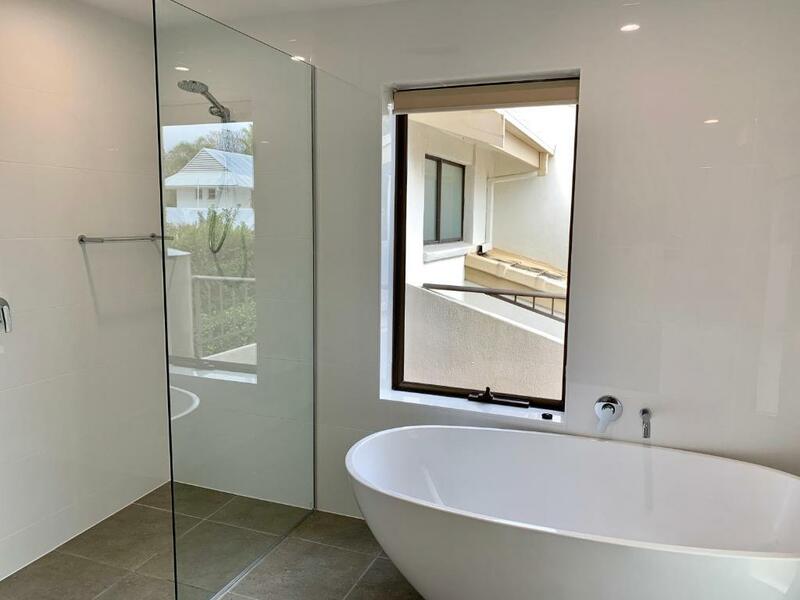 This small boutique resort, just 2,650 feet from Noosa Beach and Hastings Street, offers individually decorated apartments with air conditioning, plus a heated outdoor pool and spa pool. Each self contained unit at Cloud Nine Luxury Apartments has either a patio or balcony, and some feature views of the Noosa River. 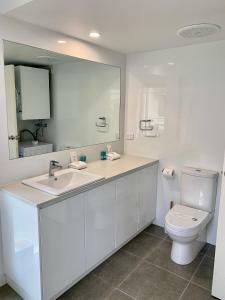 Some apartments have 2 bathrooms. Limited free WiFi is included in public areas. Cloud Nine is a 7-minute walk from the shops and restaurants of Hastings Street. Public transport options are available directly outside the property. Free undercover car parking is provided. When would you like to stay at Cloud Nine Luxury Apartments? This refurbished, ground floor apartment features a state of the art kitchen and 2 modern bathrooms and toilets. It offers flat screen TV’s in all 3 bedrooms, a large open plan living/dining area and a private courtyard and garden. This spacious apartment has a refurbished kitchen with river views and a mezzanine floor with sofa bed. It has three bedrooms, two bathrooms, with a spa bath in the main bathroom, and 3 balconies. This refurbished apartment is spacious and features three bedrooms, two bathrooms and a Mezzanine floor with sofa bed and views of the river and pool. 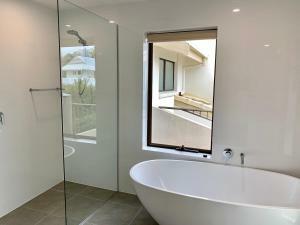 It offers all modern appliances and fittings and has a spa bath in the main bathroom. This spacious older style two bedroom apartment features two refurbished bathrooms which feature floor to ceiling tiles and sleek white vanities. The apartment has a mezzanine floor with a sofa bed and river views. This refurbished apartment features an open plan, state of the art kitchen, 2 modern bathrooms, ducted air conditioning and 2 sitting areas. It has 2 bedrooms and 3 balconies. This Hampton’s inspired apartment is refurbished and features a modern bathroom, wardrobes and plantation shutters throughout. It is located on the ground floor with direct access to the pool. Public transport passes your door and The Noosa River Ferry is close by, so you can do without the car, leave it in our undercover car park. Activities are wide spread you can walk to the beach for a surf , stroll through our world famous National Park where you could see Koalas, Goannas, Wallabies or just soak up the natural beauty of the magnificent Australian Bush. Like to see World Heritage? Take a tour to unique Fraser Island the Worlds largest Sand Island or travel to the Blackall Ranges and enjoy the village atmosphere of Mapleton, Montville and Maleny and be thrilled by the magnificent panoramic views of the Sunshine Coast and the Majestic Glass House Mountains, there are lots of places to eat, why not combine a wine tasting with lunch at one of the local wineries. Feel like something adventurous? Hire a Jet Ski or take a hair raising ride on the Ocean Rider, try a Tandem Skydive and amaze your friends with the Video. For something more sedate try an adventure flight in a Powered Glider or explore Noosa on a Bike Tour, try your hand at deep sea or river Fishing, the choice is yours, there is something for every taste and budget . House Rules Cloud Nine Luxury Apartments takes special requests – add in the next step! Debit card Cloud Nine Luxury Apartments accepts these cards and reserves the right to temporarily hold an amount prior to arrival. Cloud Nine Luxury Apartments accepts these cards and reserves the right to temporarily hold an amount prior to arrival. Please note that this property does not have any policies, procedures or resources in place to accommodate the unique needs of high school graduates during the annual "Schoolies Week" period. It does not have adequate resources to hire qualified security personnel to guarantee the safety, comfort and convenience of school graduate guests during this period. Please inform Cloud Nine Luxury Apartments of your expected arrival time in advance. You can use the Special Requests box when booking, or contact the property directly using the contact details in your confirmation. Lynne was lovely and easy to communicate and deal with. The apartment was huge and a great location. Definitely visit again. The property manager was exceptionally friendly and accommodating. She had great recommendations for where to eat and what to do. Let us check in early and out late. The apartment was in a great location and had everything we needed. The pool was a great place to unwind. Location and cleanliness. Has everything you need for a week away! Very roomy, large kitchen that was very well equipped, lovely big bathtub, great location. Lynne is a wonderful host. Very personable and made us feel at home. Accommodation had everything you need for a relaxing holiday. Super friendly staff! Comfortable environment. Great location to Hastings Street. The room was absolutely lovely as well.